The Chicago Tribune recently featured Oklahoma City’s RIVERSPORT Rapids in its Travel section as one of five new international attractions delivering “big thrills and great views." When it comes to new thrills debuting in 2016, chatter generally winds back to the early April opening of a mini-theme park involving a certain boy wizard at Universal Studios Hollywood. Downtown Oklahoma City might not elicit visions of thrilling water sports, but the city's $45 million Riversport Rapids aquatic facility opens May 7. 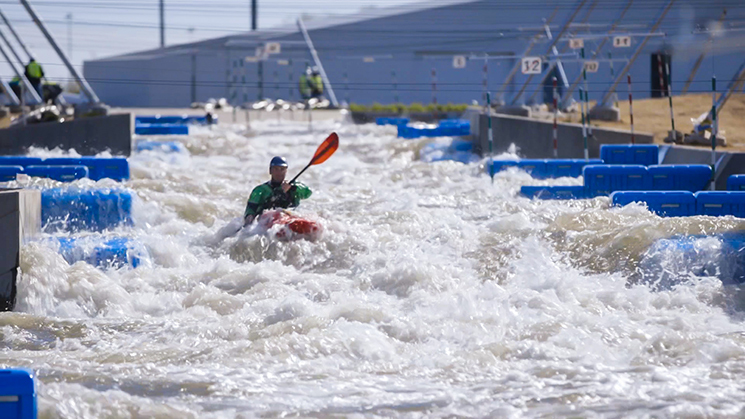 Designed by the same team that developed an aquatics facility for the 2012 London Olympics, 11-acre Riversport Rapids offers Class II to IV rapids in a 1,000-foot channel for whitewater rafting, kayaking and canoeing. Read the rest of the story on chicagotribune.com.